Factory replacement Amt automag III 8 round 30 carbine magazine. 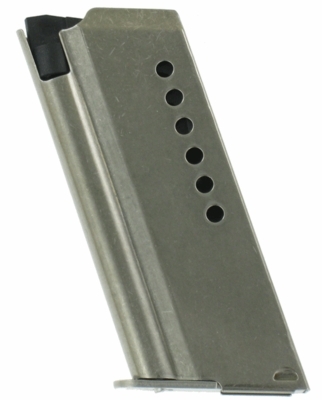 This is a factory stainless steel gun magazine made to the same standards as the original magazines.. This is a current production magazine made by the original manufacturer for gunclip depot. . Gunclip Depot has the largest selection of Amt magazines . FREE shipping on orders over $75! Orders shipped within 24 hours except week-ends and holidays. This is a close out item and this is all we have. limit on per customer please.